Cashback Reward : Earn up to 105$! 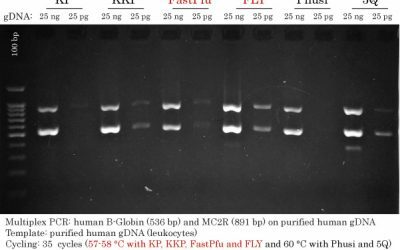 GelStain is the perfect and safe alternative to ethidium bromide staining of DNA or RNA during agarose el electrophoresis. 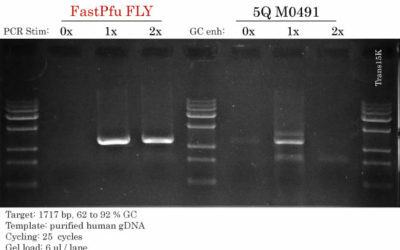 It is a sensitive, stable and safe staining reagent for DNA/RNA. 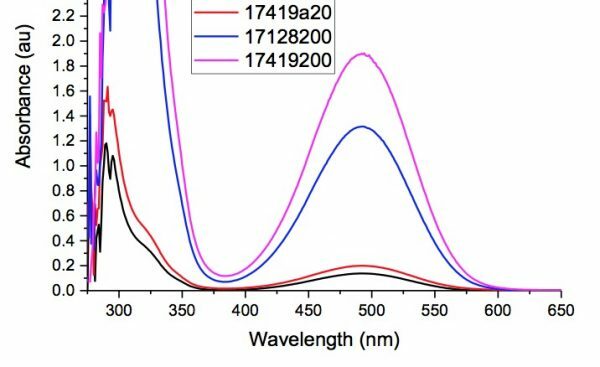 This DNA/RNA stain uses the same wavelength as ethidium bromide (EtBr), and it is more sensitive than EtBr. No toxicity: made of a unique mixture of hydrophobic macromolecules. 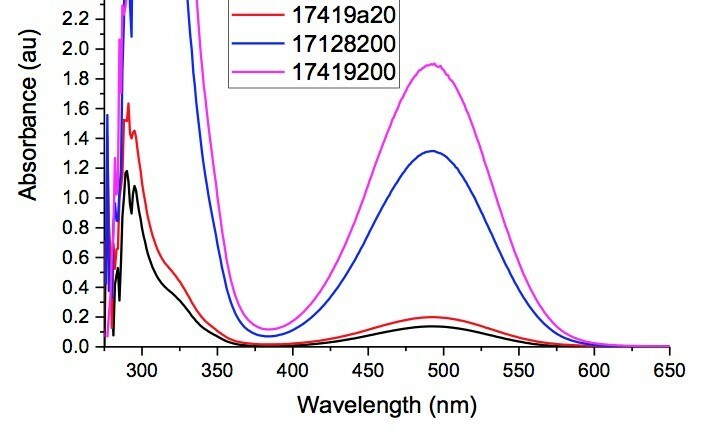 GelStain does not penetrate cell membranes. 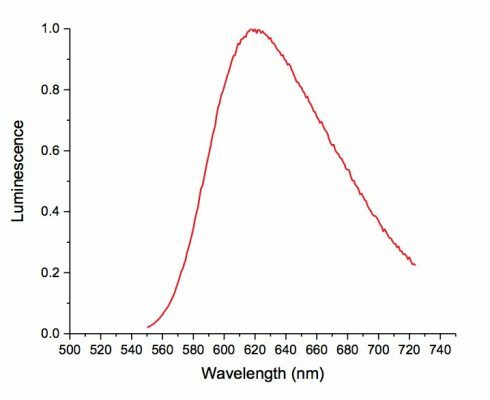 High sensitivity: provides high sensitivity, detecting low amounts of DNA or RNA (10-20 ng). Exceptional stability: can be heated or microwaved. Signal to noise ratio: strong fluorescent signal from samples, weak from background. Like EtBr, GS101 can be used before electrophoresis or after electrophoresis. No destaining is needed. No optical setting change: standard EB filter and SYBR filter can be used. 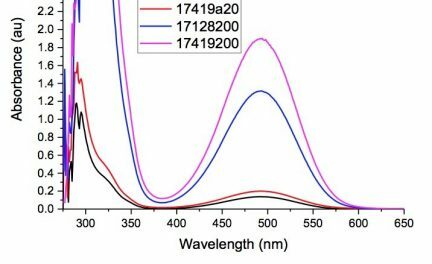 Excitation spectrum of GelStain Lot 17419: Red line is 10-fold more diluted than purple line. Lot 17128: Black line is 10-fold more diluted than purple line.